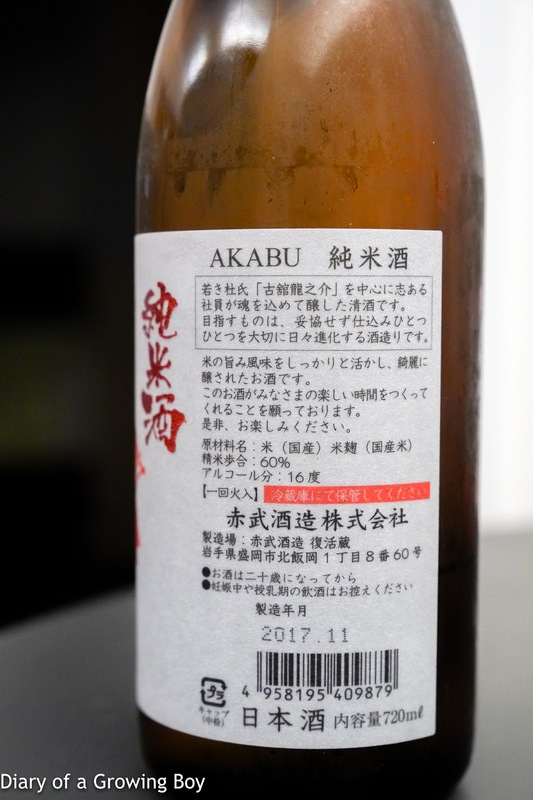 Akabu Jumaishu (赤武 純米酒), BY 30 - seimaibuai (精米歩合) of 60%. Nice nose of fermented rice, with tropical banana. 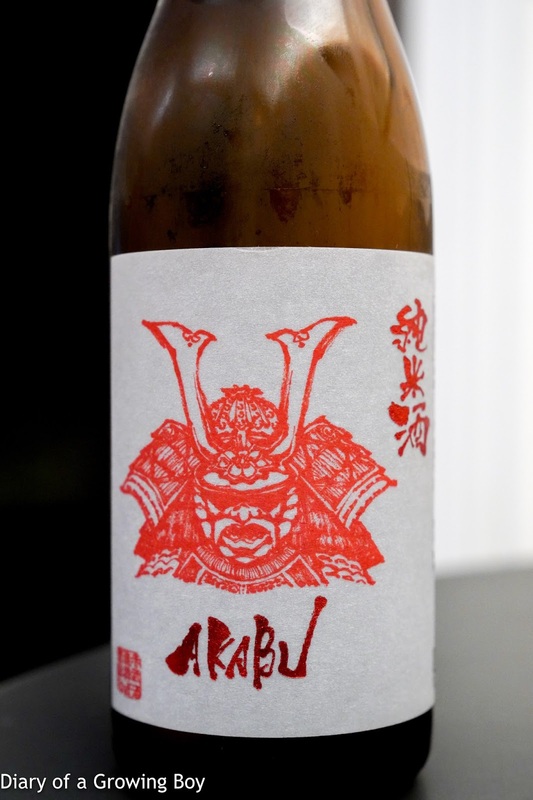 Plenty of depth on the palate, with a sweet attack but slightly spicy mid-palate and finish.